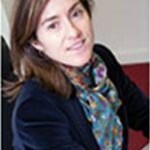 She has a MSc in Economics, international specialty by Sarriko University UPV-EHU. Master in Finacial Management and Advanced Course in Human Resource Management from ESIC. Eight years of working experience in BEAZ as responsible for administration and finance developing budgeting functions, accounting, purchasing and other financial and administrative managements, as well as providing advice to projects at feasibility and economic projections level. In addition, she supports and controls the actions taken by the company within the EEN. Two years as a Controller and Head of Administration at head office with subsidiaries companies throughout South America developing business plans, consolidation and economic and market analysis. Eight years as a controller in Vodafone Spain S.A. participating in international projects.